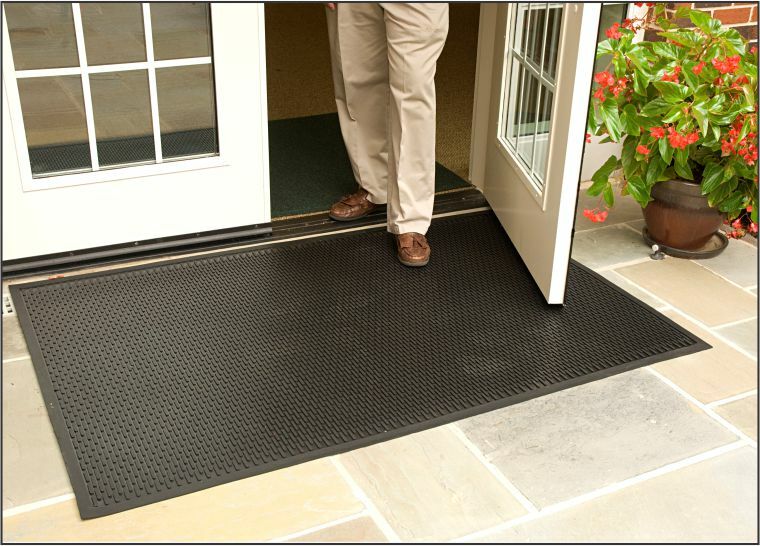 Durable, washable all-rubber super scrape door mats stop dirt in its tracks! The Super Scrape Outside Door Mat traps tough dirt and grime outside the door, before it enters the building. 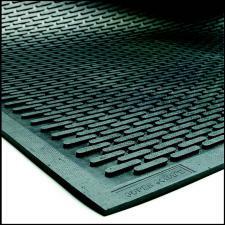 The specialized outdoor non slip matting has a molded rubber tread pattern, is slip resistant and provides anti-fatigue properties. Constructed of extra heavy rubber, the SuperScrape stays in place. This non-slip matting is available in either a 100% Nitrile Rubber Scraper Mat (oil and grease resistant) or a Natural Rubber version. Molded tread-surface face cleats effectively scrape tough dirt and grime off shoes. Static Decay Test Method 4046 Federal Standard 101B/NFPA 99 Chapter 12 Section 4.1.3.8 (f) (3) (i). Maximum Time Recorded: .01 seconds.